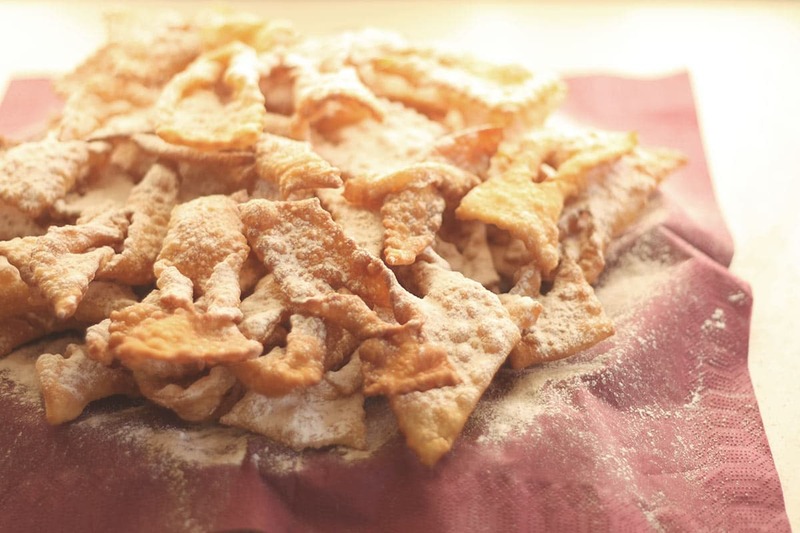 The Crostoli (Chiacchiere, Frappe) are one of the most popular desserts for the days of Carnival, which takes different names depending on the region of origin, but which in essence have in common the light pastry dough and a good balance of ingredients. Step 1 Place the flour on the table and in the center the sugar, 1 whole egg and 2 egg yolks, salt, melted butter and anise liqueur or grappa. 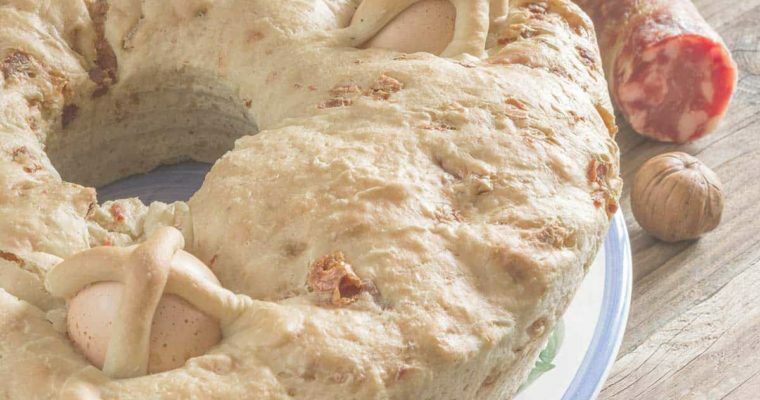 Step 2 Knead the dough, form a ball, cover and let rest for 30 minutes. 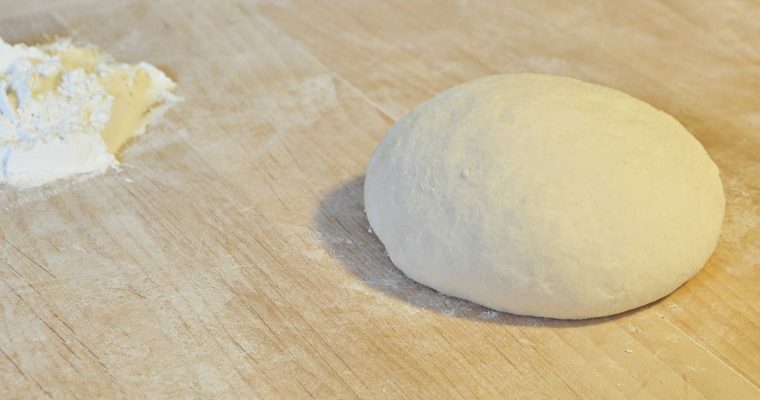 Form a thin sheet with a rolling pin, then with a knife or with the appropriate wheel, get thin strips. Step 3 Make some incisions in each strip to stick the dough and obtain various forms, or knot them. 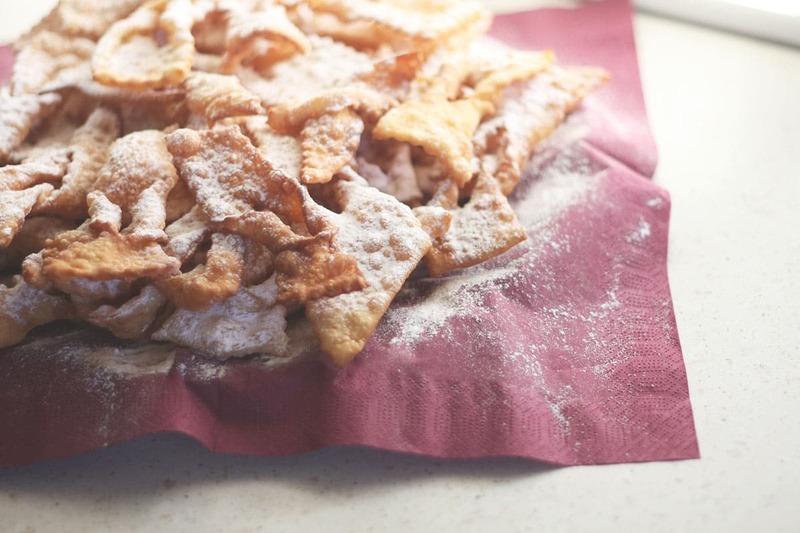 Fry the crostoli in the oil in small quantities, drain them well and then pass them in powdered sugar.